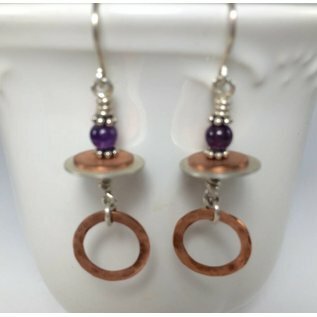 Amethyst and Copper Earrings made in New Hampshire. 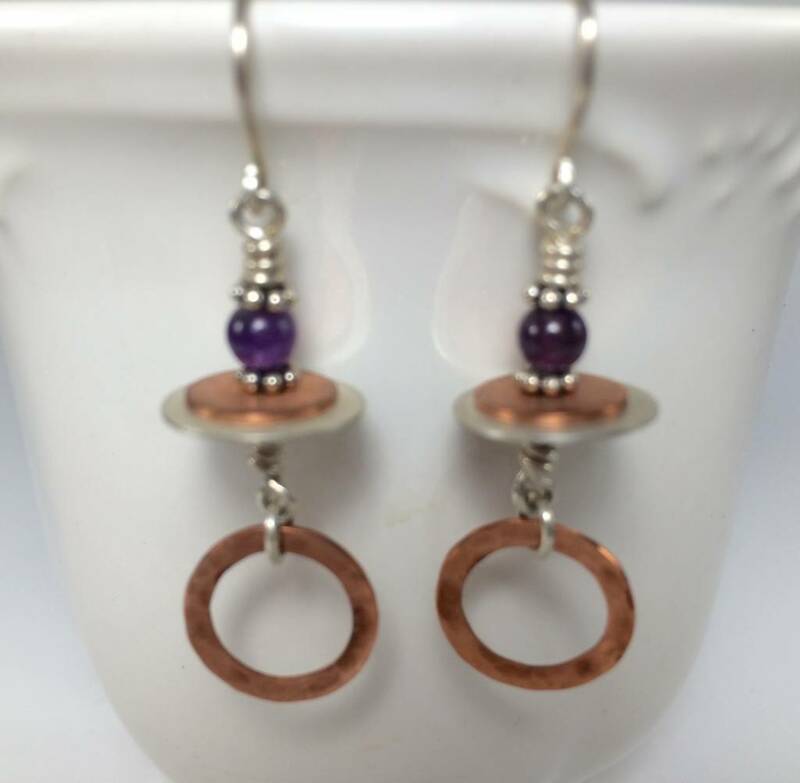 Handcrafted by Patty Roy in Manchester, New Hampshire. "My mission is to create beautiful pieces of jewelry for women to wear!"